Views of Gold Medal Park every time you wake up. Luxurious and rare home, kept in pristine condition. Easy to view and show. Built in master closets, oversized kitchen island, contemporary tile and cabinet work. Large storage laundry area within the home. Once you walk in you will be happy you are there. 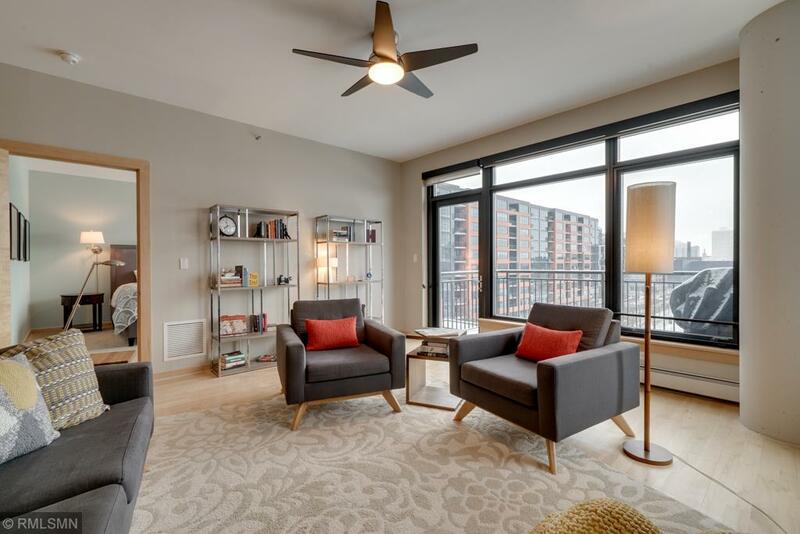 This is a rare opportunity to live with the best viewing angle in the neighborhood. Premium parking spaces included. A wonderful building and development, with a strong community. Directions - From Washington Ave. North on 11th, East on 2nd. The content relating to real estate for sale in this Web site comes in part from the Internet Data eXchange ("IDX") program of Regional Multiple Listing Service (MN) - Northstar MLS. Real estate listings held by brokers other than the website owner are marked with the IDX Logo and detailed information about each listing includes the name of the listing broker. The information provided by this website is for the personal, non-commercial use of consumers and may not be used for any purpose other than to identify prospective properties consumers may be interested in purchasing. Some properties which appear for sale on this website may subsequently have sold or may no longer be available. This content was last updated on 04/21/2019 08:00 All information is subject to change and is supplied by seller and other third parties and should be independently verified. Information is deemed reliable but is not guaranteed. OPEN 7 DAYS FROM 11 to 5!